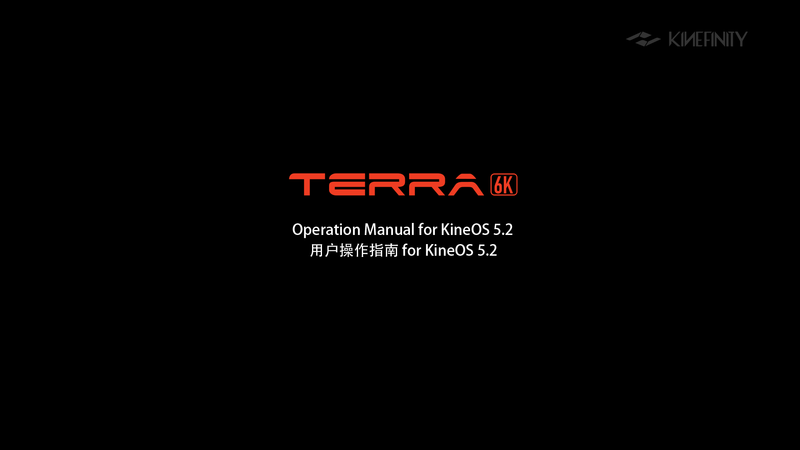 The operation manual is for TERRA 6K with KineOS 5.2. It introduces functions and settings of TERRA 6K: the basic interfaces, UI and operation, settings, Timecode, Playback, 3D setup and new features of KineOS5.2 etc. This entry was posted in Downloads, Operation Guide and tagged 6K, 6K, KRW, KRW, Manual, ProRes, ProRes, TERRA, TERRA.